Volvo Penta partnered with Multi Image Group to create a multi-award winning display at the Progressive Insurance Miami Intl. Boat Show. 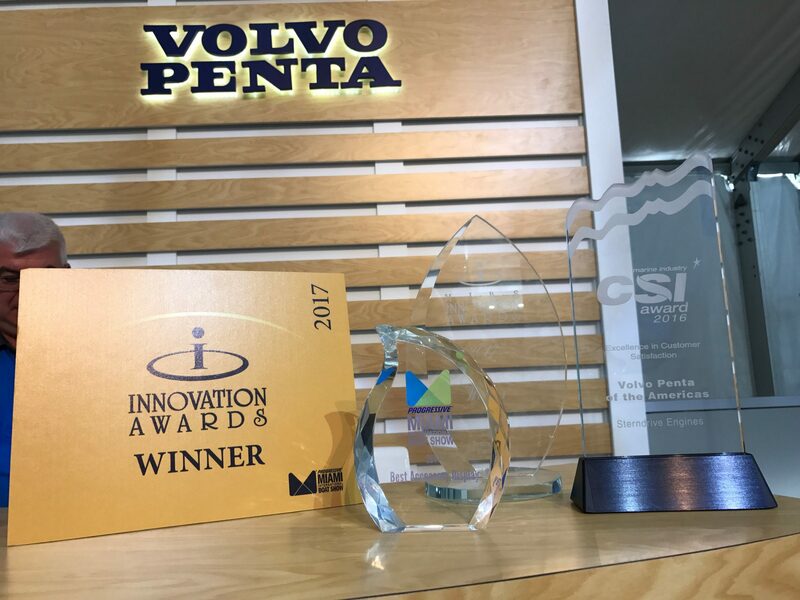 Among many others, Volvo Penta took home the best-in-show awards for Best Accessory Display and the M.I.B.S Innovation Award for Propulsion Equipment & Parts for the Volvo Penta Joystick for Inboard. 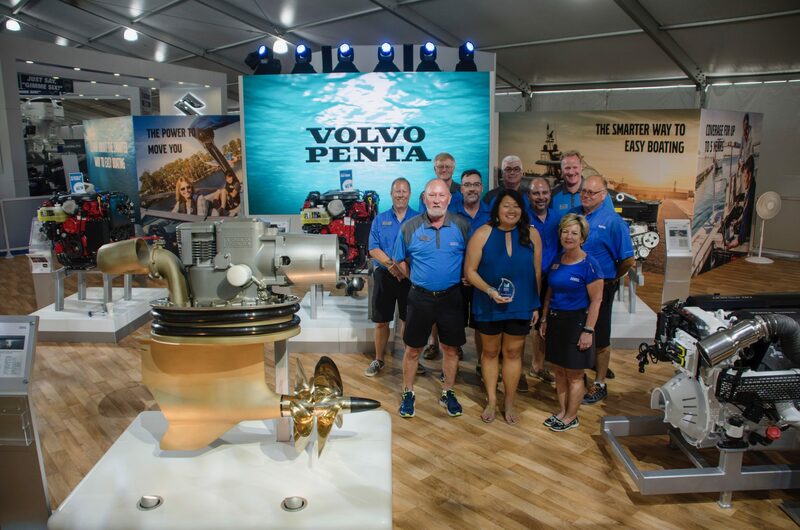 Volvo Penta had two locations for display during the Miami Intl. Boat Show including the Marine Stadium main booth (shown below) as well as the Yachts Miami location. Multi Image Group was presented with the challenge of creating a unique, attention-getting booth for Volvo Penta. With the 40′ x 55′ space, MIG was able to design a floor plan with plenty of technology opportunities that led to an award-winning display! As shown, the collaboration between Volvo Penta and Multi Image Group produced a brilliant display! MIG was able to install 3 tall columns to attract traffic to the booth (including 3 large office and storage areas); each being equipped with hidden lights, sound, and LED elements. The main column had a 3-sided 10mm LED screen, 2 sides being 6’w x 7’h and the other 8’w x 7’h. MIG also utilized LED-based moving lighting fixtures to create a more visual impact to the booth. Additionally, the primary content screen within the booth was a 6.5′ tall x 12′ wide 3.9mm LED wall to display the many features of the Volvo Penta brand.